At City Square Mall, be spoilt for choices at City Square Mall’s Food Festival 2016 with new restaurant openings, exciting F&B promotions and attractive gifts with purchase this July! From 1 to 31 July, shoppers who present (a maximum of) three same-day receipts from any outlet (except pushcarts and non-tenant atrium events) will be entitled to redeem a $5 City Square Mall F&B voucher with minimum $150* spent ($250* if including NTUC FairPrice receipts), and an additional canvas tote bag if a minimum of $200* is spent ($300* if including NTUC FairPrice receipts). These promotions are limited to the first 5,000 and 1,000 redemptions respectively, while stocks last! 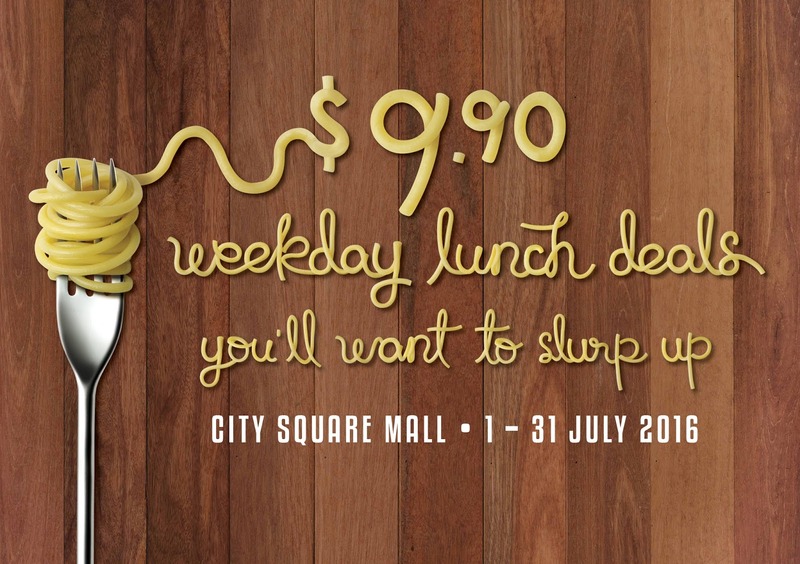 More reason for you to visit City Square Mall with 11 weekday lunch sets at only $9.90 from Mondays to Fridays (excluding public holidays) in July. 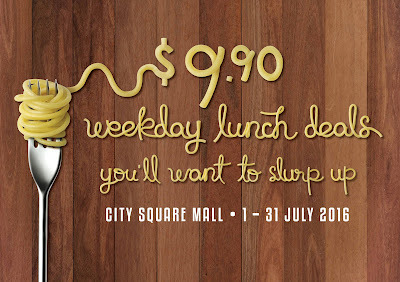 Enjoy complimentary weekday parking worth $3, in addition to free weekday lunchtime parking for the first one and a half hours between 12 and 2pm (excluding public holidays), with minimum $60 spent..
City Square Mall recently welcomed several new F&B options that cater to various food preferences from Western to Chinese and Korean. Din Tai Fung, Crave, Face to Face Noodle House, Seoul Jjimdak are now available in City Square Mall! For more details on the activities and promotions, visit https://citysquaremall.com.sg/ or check out City Square Mall’s Facebook page www.facebook.com/citysquaremall.